Your data just got hotter, thanks to Tableau 10. So what’s in it? For starters, it has an entirely new look and feel with beautiful fonts and colors to make your viz shine. And this beauty’s got some depth, with cross-database joins that let you work across different data sources as if they were one. Now you can make and share an entirely new data source from multiple, disparate date sources like SQL Server and Redshift. Imagine the insights you can find when you can see all your data. You can also ask deeper questions of your data, thanks to drag-and-drop clustering, custom territories, and the new highlighter. And you can have more control over dashboards consumed on mobile devices, thanks to the new device designer. You can design a single dashboard with optimized views and custom content for any device, including Android, with our new app. We’re always listening to users, and Tableau 10 is no exception with two of the most-requested features on our Community Ideas Forum. 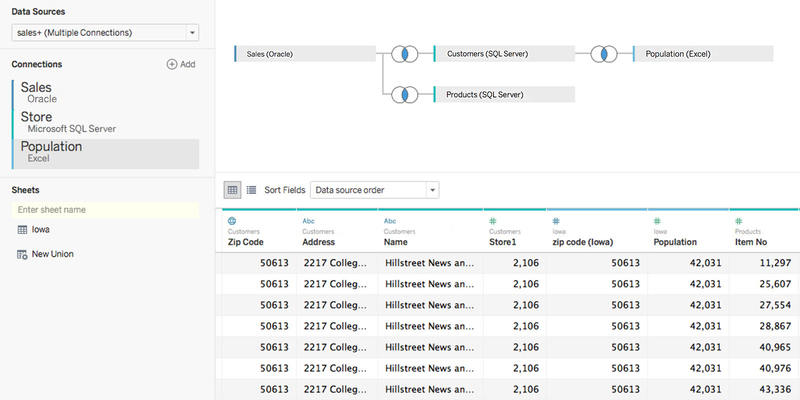 With cross data-source filters, you can quickly filter across data sources without having to use parameters. Subscribe others helps build a culture of analytics by allowing users to subscribe other team members to important dashboards. These are just a few of the dozens of features included in Tableau 10. Check out the full list. To learn more, sign up and tune into out launch event, Tableau 10 Live. We'll be showing off top features, hearing from customers, and more. And join us at a Tableau 10 roadshow near you. Want even more? We’ve completely revamped our free online training with new videos on cross-database joins, device designer, and custom territories. Also check out our Tableau 10 webinars and the rest of the Tableau 10 blogs. 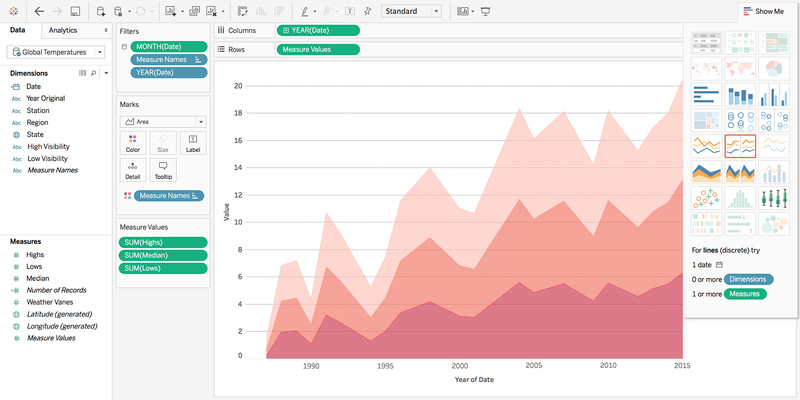 Our dev team dives deep into some of the biggest features in Tableau 10. 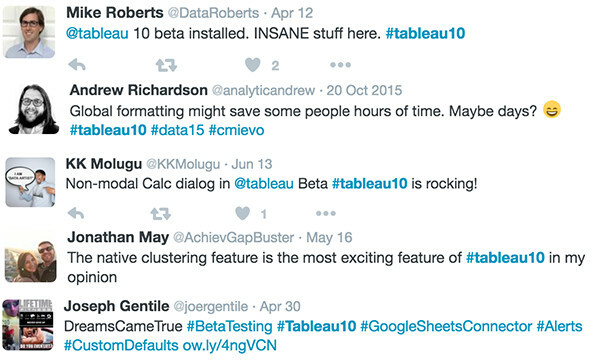 The momentum for Tableau 10 has been building since we first announced the Tableau 10 beta back in April. We’d like to extend a huge thank you to the 14,000 beta testers who tried the Tableau 10 beta. If you’d like to be involved in future beta programs, sign up today.